The name itself speaks for the identity and history of the kukri. It was widely used during Jung Bahadur Rana’s dynasty in the 19th and 20th century so the name follows. Jung Bahadur Rana was the first prime minister of Nepal who came to power in 1846 AD. His powerful Rana dynasty of hereditary prime ministers that lasted till 1951 for 104 years is considered to be as the “Dark Days of Nepal”. The basic rights and opportunities to the people were seized/taken away and forced into slavery. Jung Bahadur Rana was also known for his fondness of women and weapons. He had tons of collection of modern and antique weapons among which kukri was one of his favorites. It was immensely used by him and his generation until they were strip from power. 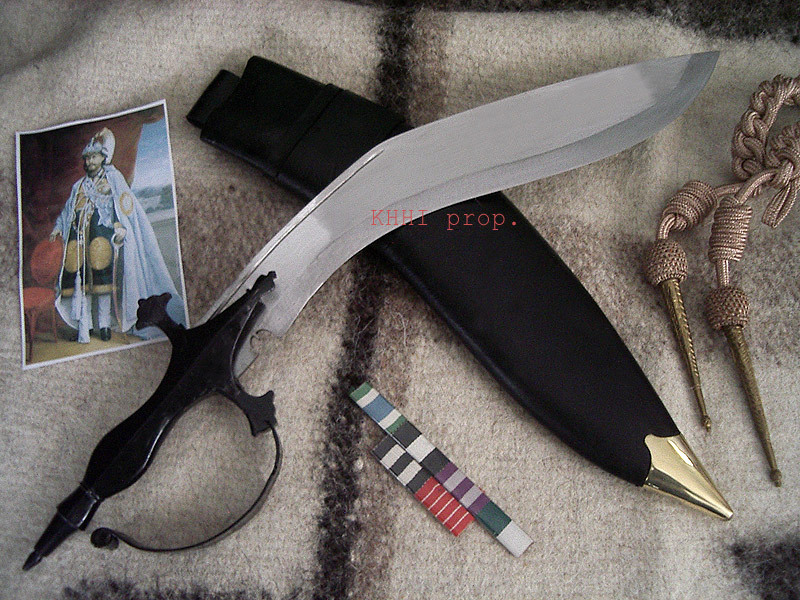 This Jung Bahadur Kukri is the exact replica of the original one owned by Jung Bahadur Rana himself. The shape of this kukri knife is similar to the ‘Aitihasik’ type used by Gorkhali Sainik, however slightly curved and longer. The unusual section of the kukri is the handle which is imitated from antique swords. The handle is made from solid iron/metal rod with hand guard on both sides as shown in the picture. A metallic arch made from iron sheet is fixed to the front guard of the handle. The metallic handle gives the ever-lasting strength and hand guard provides much needed protection to hand during hand-to-hand combat. 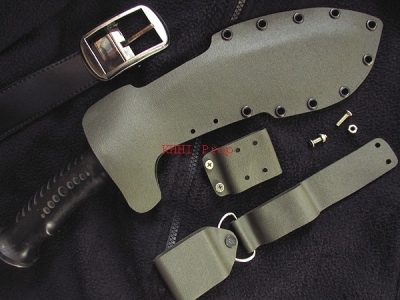 The handle is given a suitable shape/design to go with the blade. This kukri as a whole appears to be fearsome, faithful and destructive. The scabbard is made from wood from inside and carefully wrapped by buffalo leather as in regular kukris. Jung Bahadur khukuri is a perfect show piece and a collection item with historic background rarely found today. It is also a superb cutting kukri knife having a rock-hard metallic handle.